Something wicked this way comes from Paizo Publishing, publisher of the world’s best-selling Pathfinder Roleplaying Game. 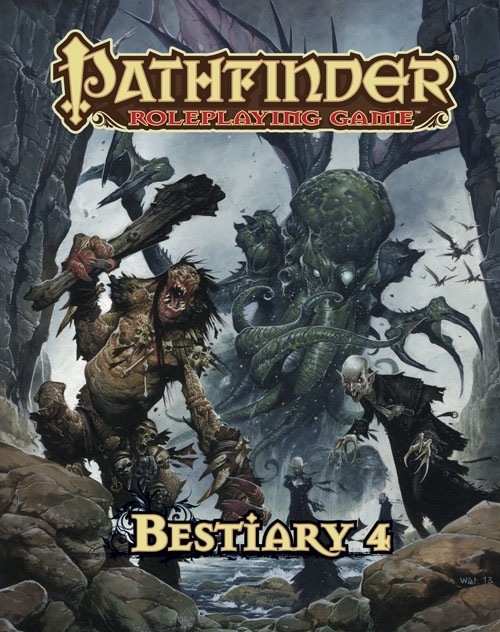 Just in time for haunting Halloween gaming, Bestiary 4 is out now, available in hardcover for $39.99 or PDF-format from paizo.com for $9.99. The Pathfinder Roleplaying Game builds on more than 10 years of system development and the largest open playtest in the history of tabletop gaming to create an unparalleled fantasy roleplaying experience. Players need only the Pathfinder RPG Core Rulebook to play, but Paizo Publishing produces a wide range of books and accessories to enhance your Pathfinder experience, from hardcover rules compendiums to complete campaigns to packets of beautiful, full-color maps.